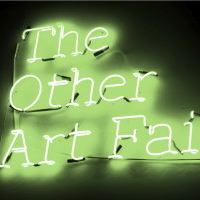 The Other Art Fair in 69 Seconds! A short video capturing some of the essence of what The Other Art Fair is. The artists selected, the vibe on the Private View nights and at 18 seconds in you can catch me on stand! You can see what you saw and enjoyed or what you missed if you did not attend. Hopefully see you at one soon. Newer Post Join In The “Conversation of Works”	Older Post Ready to Reveal!